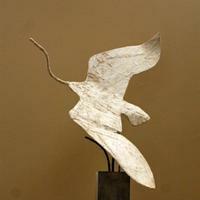 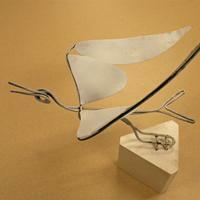 Bird armature made from wire and sheet metal mounted on a triangular white wood base. 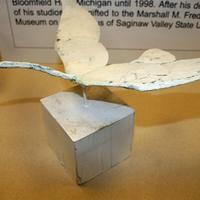 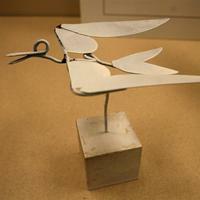 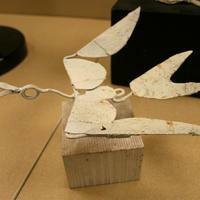 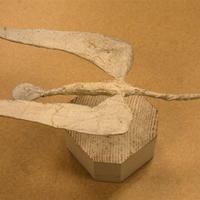 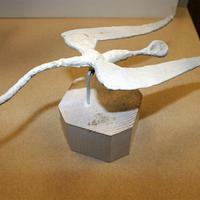 Bird armature made from wire and sheet metal mounted on a cube shaped white wood base. 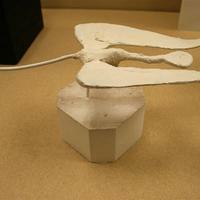 Bird armature made from wire and plaster mounted on an octogonal white wood base. 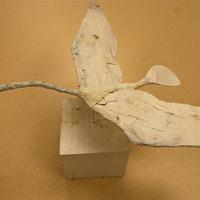 Swan or bird armature on wood base. 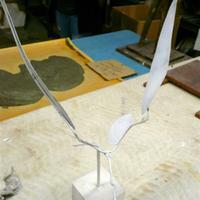 Armature is metal and wire and painted white.